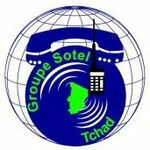 Sotel Tchad is the organization that manages and administers the .td ccTLD for Chad. ↑ African ccTLDs, DotAfrica. Retrieved 2015 September 9. This page was last edited on 9 September 2015, at 16:39.